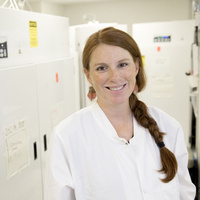 "The Role of the Environment in Shaping Host Resistance, Life History and Vector-Borne Disease Transmission," Courtney Murdock, assistant professor with a joint appointment in the UGA Odum School of Ecology and the College of Veterinary Medicine's Department of Infectious Diseases. Reception follows seminar at 4:30 p.m. in the ecology building lobby. Host: Craig Osenberg.